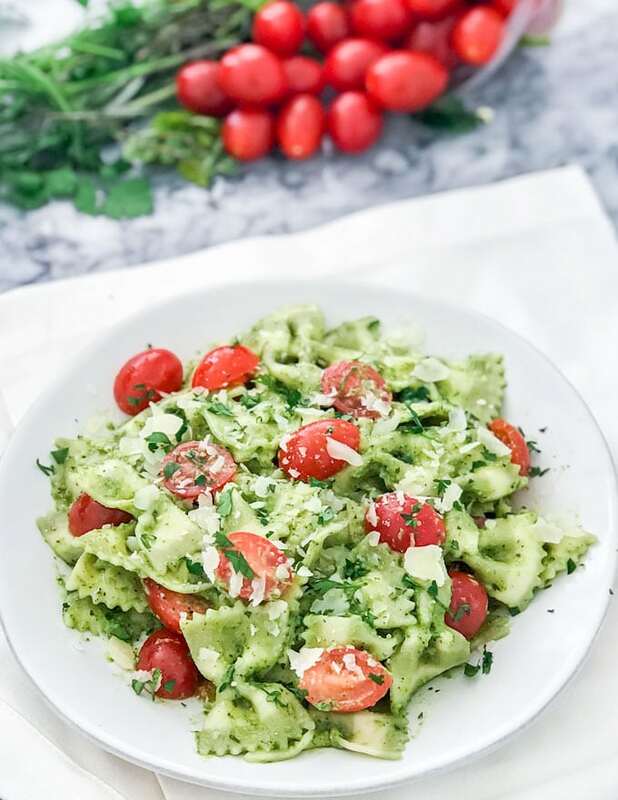 Fresh Oregano Pesto – Lets put an end to beautiful fresh herbs going to waste! This incredibly simple recipe only takes a few minutes, but the result is outstanding. Spread it on toast, dip fresh veggies in it, or my favourite: tossed with pasta. This weekend I had my mind set on making this Greek Chicken Orzo. I loaded it full of herbs and it was SO fantastic! The only problem, however, is that I was still left with my package of fresh oregano practically full. I am not one to waste perfectly good herbs, so I set out to find the perfect solution to my dilemma. This recipe is the result! This turned out even better than I had hoped. The fresh bright flavour is so perfect for this warming weather! While it was fantastic on pasta, this would work extremely well as a spread or dip of any sort. This is a great recipe to keep for any extra abundance of herbs you have laying around, really. 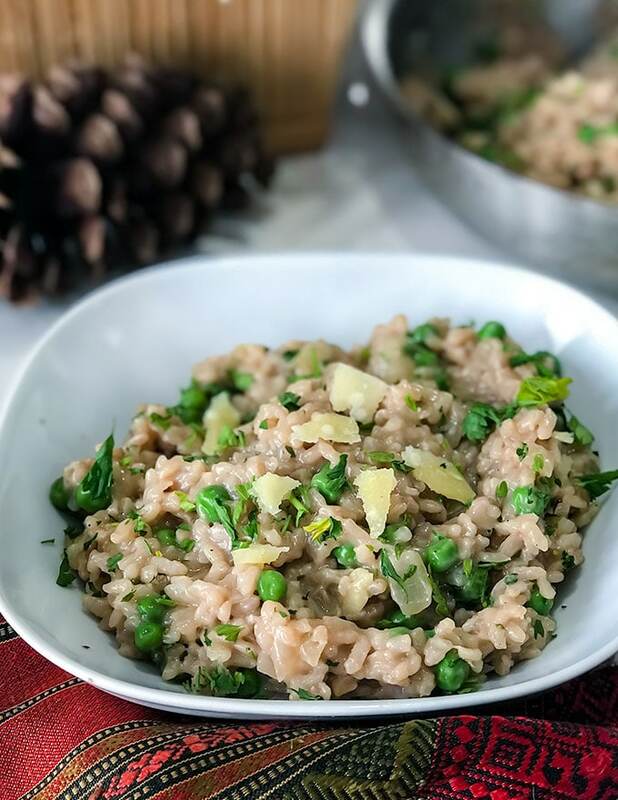 I wanted to keep this recipe super quick and simple, but if you have time try toasting the pine nuts on a dry pan for a few minutes until browned and fragrant for an real boost of decadent nuttiness. Fresh Oregano Pesto - Lets put an end to beautiful fresh herbs going to waste! This incredibly simple recipe only takes a few minutes, but the result is outstanding. Spread it on toast, dip fresh veggies in it, or my favourite: tossed with pasta. Combine all the pesto ingredients into a blender or food processor and pulse until well combined. If you're using this for pasta, reserve some of the pasta water. 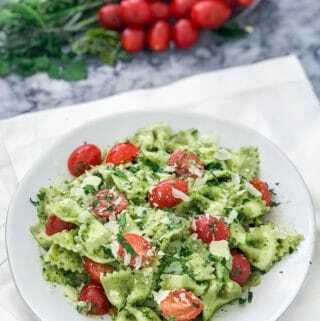 Combine cooked pasta, pesto sauce and pasta water in a skillet and cook on medium high until well combined. Add the cherry tomatoes at the very end, and top with parmesan cheese. You can use this recipe for any fresh herbs you have, including combinations of those herbs, as long as they add up to 1 cup in total. If you have time, try toasting the pine nuts on a dry pan on medium heat for a few minutes before blending the ingredients. This will add a wonderful dimension of nutty flavour. Pistachios make a great substitution for pine nuts if need be. The nutritional information is for the pesto only and does not include the pasta. 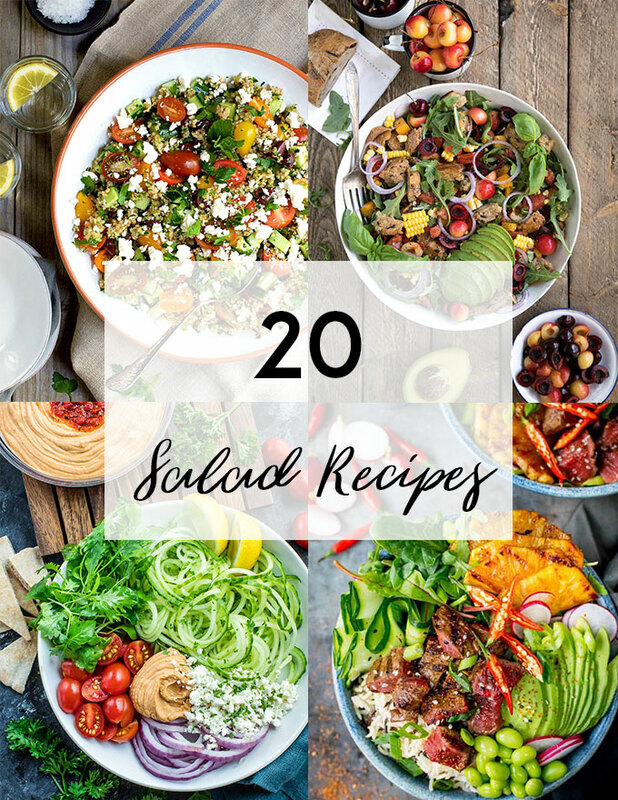 20 Salad Recipes that will Blow Your Mind!